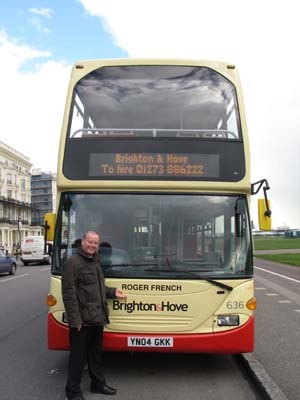 Connections with Brighton and Hove : In honour of the retiring of Roger French in March 2013, we have named a bus after him for a limited time. 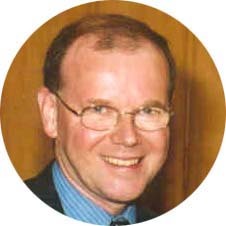 Roger started with Southdown as Assistant Traffic Manager in 1982 after moving from South Wales Transport. In March 1985 when Southdown split into three divisons he moved to the Brighton & Hove division at Conway Street. Work started on setting up the new Brighton & Hove Bus and Coach Company, and on 1 January 1986 the new company was formed, from that day on Roger was heavily involved in everything about buses in Brighton & Hove, placing buses high on the agenda of many forums and decisions about life in the town. 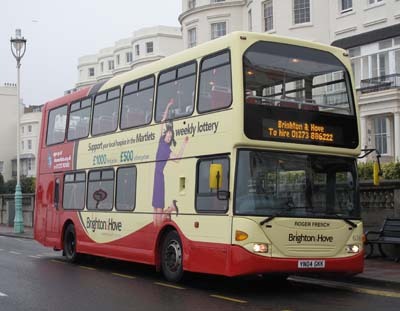 Always leading the way with new innovations Roger has kept Brighton & Hove at the forefront of bus travel in the city. On 22 March 2013 an era will come to an end and we wish Roger all the best for his retirement. 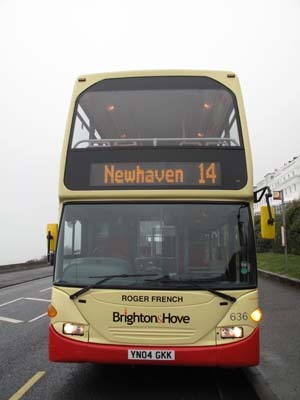 636 Scania Omnidekka carried name between 7 March and 19 March in honour of Roger French retiring after 31 years with Brighton & Hove. The bus front panel with his name was presented to Roger on a retirement function on 19 March.